America #7 was solicited with art by Joe Quinones & Various, well that “various” are now Annie Wu, Jennifer Mundy, Audrey Koch and Ming Doyle. Generations: Iron Man & Ironheart #1 was solicited with art by Marco Rudy, but is joined by Szymon Kudranski, Nico Leon, Will Sliney and Scott Kudlish. 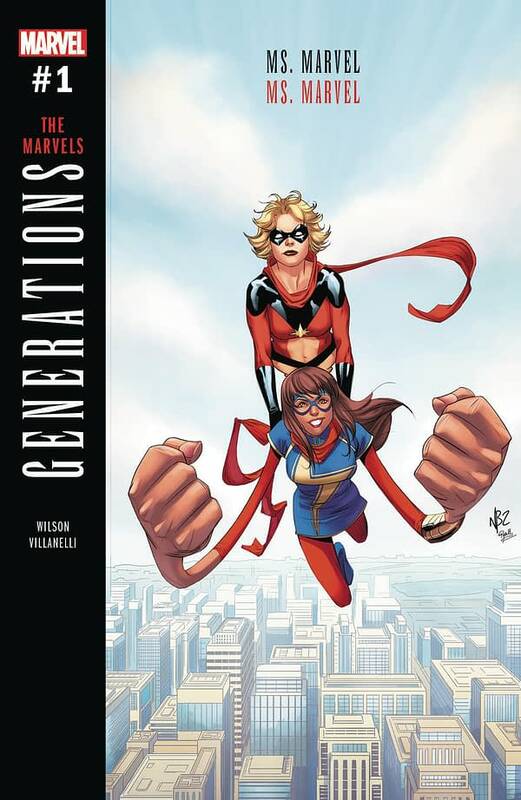 While Generations: Captain Marvel & Ms Marvel has changed its name to Generations: Ms Marvel & Ms Marvel.